Need a self-contained heating and cooling system? Consider PTAC units or packaged terminal air conditioners. If your house does not have enough indoor space for a furnace, coil, or air handler, then a packaged AC that fits outside your house is just right for you. People living in regions experiencing extreme temperatures benefit from the comfort of this compact all-in-one HVAC system. You can find a varied range of sizes and Seasonal Energy Efficiency Ratings (or SEERs) of packaged air conditioning units on the market. Several small businesses opt for a modular packaged air conditioner, as it enables modification in case the business expands. One unit can be added or reduced, further adjusting the load of the system. Let’s look at how you can maintain PTAC units on a regular basis. Air conditioners are bound to suffer minor issues. However, here are 3 major HVAC issues to be on the lookout for. Debris or algae may block your condensate line. However, you can tackle this issue by pouring vinegar down the line and then using a wet-dry vacuum to clean the line. If you do not find any change, you should get help from a professional. If you feel that your AC is not heating or cooling well or you’re experiencing temperature fluctuations, it is most likely due to leaks in ductwork, poor insulation, or blocked vents. If this is the case, you can go ahead and clean the vents throughout your home. Pro Tip: If you find that south-facing rooms are not receiving enough heating or cooling, you could either use blackout curtains or install separate systems there. If there are no results, then contact an HVAC expert to have a look at your unit and fix the issue. If your AC experiences an unexpected shutdown, check the batteries of your thermostat. If the batteries are in good condition, it could be the circuit breaker. You will have to switch it to the on position. In case that doesn’t solve your issue, seek help from an expert. Despite the fact that you need to look into the maintenance of your AC every few months, an annual tune-up is a must. This, in turn, will reduce frequent breakdowns of your AC, help you avoid the extra expenditure on repairs, and enhance the lifespan of your air conditioner. 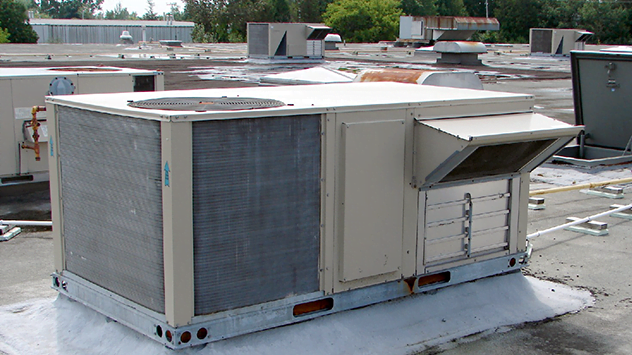 Air conditioners are made up of complex working components and you can’t fix everything on your own. That’s when professional help is advisable! You can find an independent HVAC technician or hire a company near you by simply typing in your zip code using the Same Day Pros app. It is available on the App Store as well as the Play Store. Corey L Robinson, the founder/CEO of Same Day Pros Inc., is a business owner and serial entrepreneur.